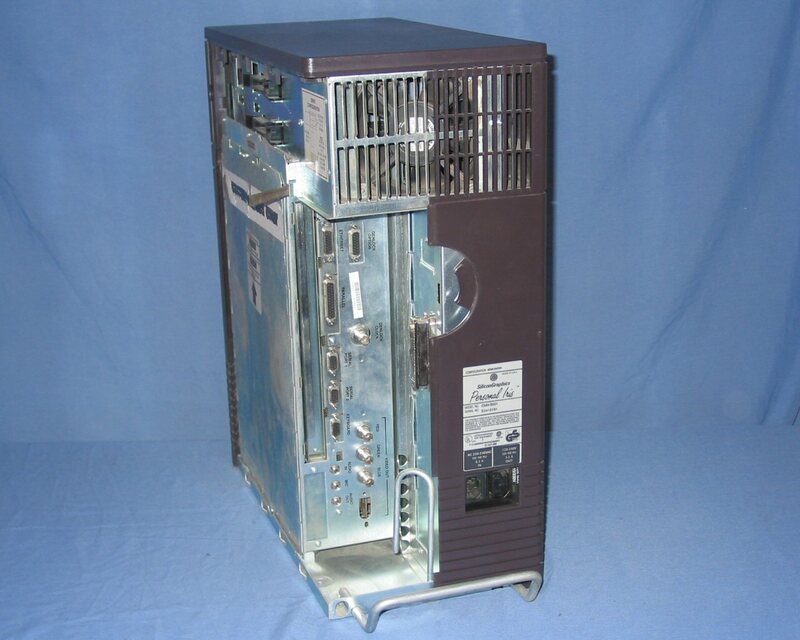 In mid 2003 I purchased via eBay a bulk lot of old computers which included, among other things, three partial SGI Personal Iris systems (4D/20 models). 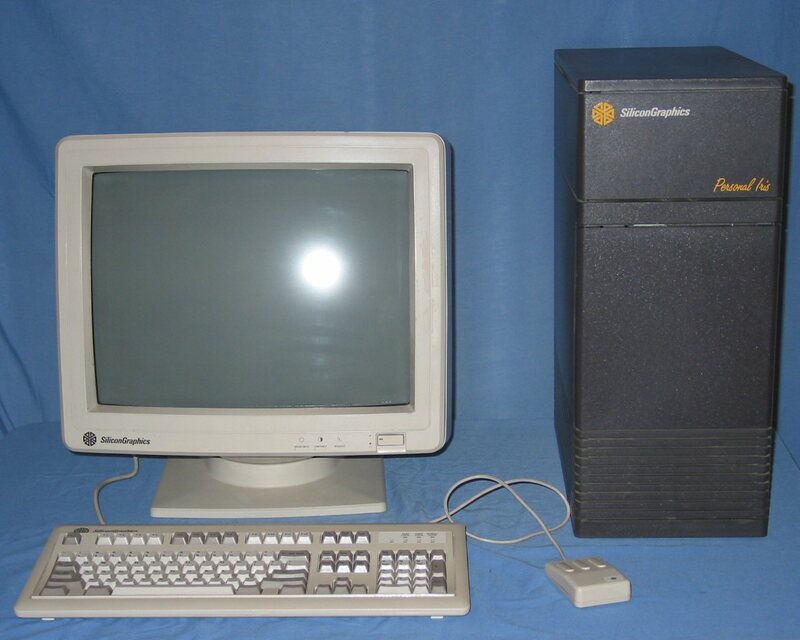 From these three systems I was able to sort the hardware out into two complete systems and I sold one of these on eBay in late 2003 for the massive sum of AU$15. 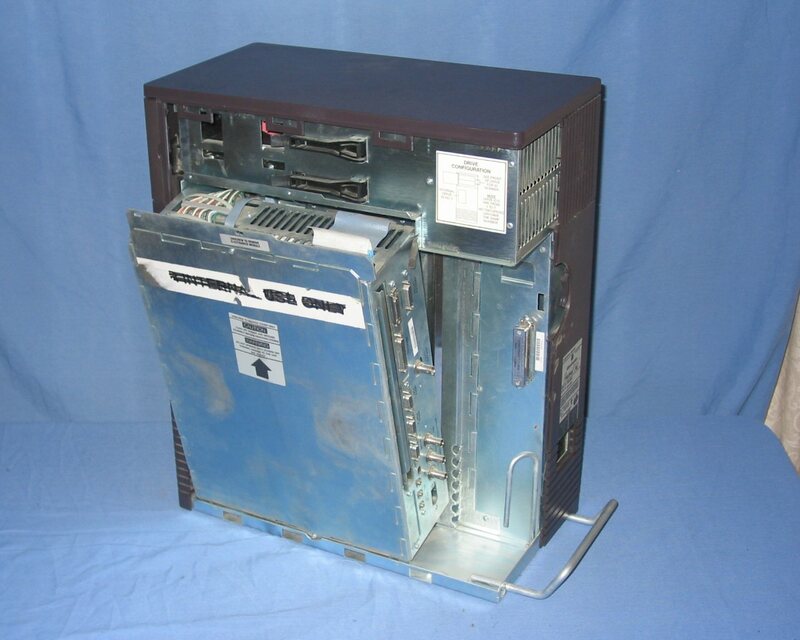 Unfortunately I wasn't finding the time to get Irix booting on my remaining system so I offered them up on the Classic Computing mailing list for free and it was picked up the next day. 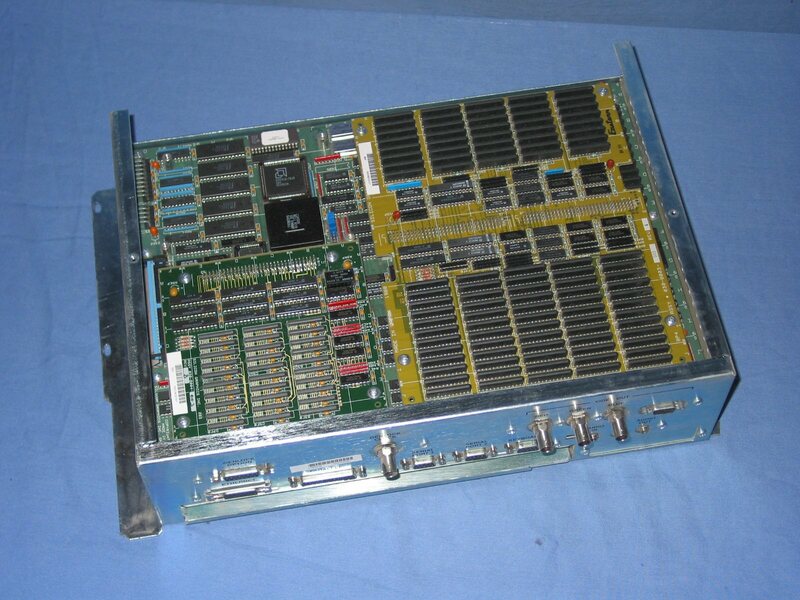 The components of a typical SGI Personal Iris system include the system unit, a 21" monitor, a keyboard, and a mouse. This particular mouse is an early optical model that requires a special metal mouse pad that has a pattern printed on it (not pictured). 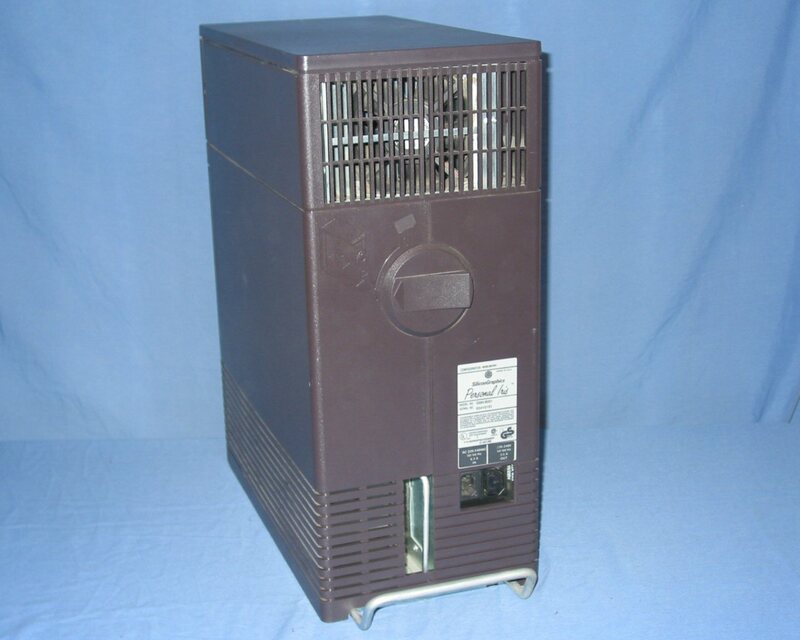 The front of the unit is very unassuming with no visible switches or drives. There are two indicator lights that are visible at the bottom of the drive door (immediately below the 'Personal Iris' wording). The door on the upper front opens to reveal two half height 5.25" drive bays, the power switch and reset switch. 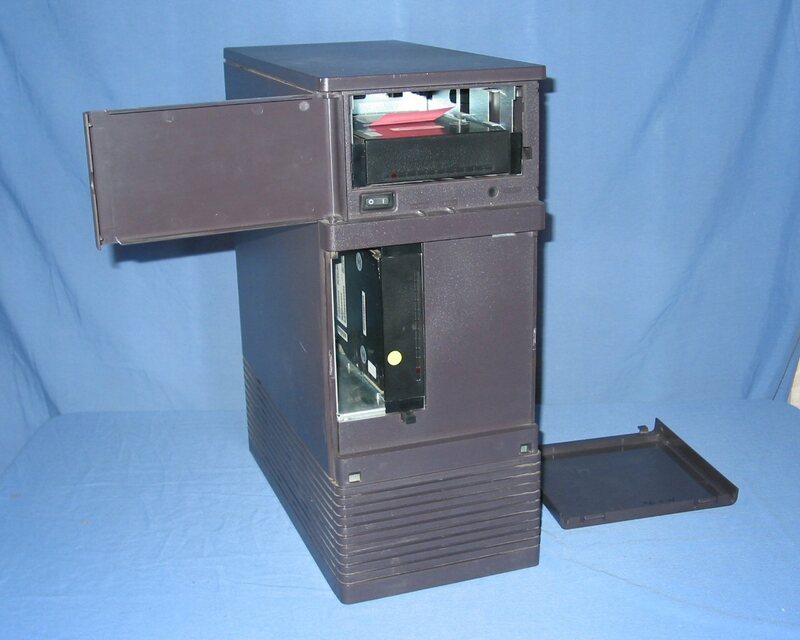 A panel lower down on the front can be removed to gain access to a full height 5.25" drive bay. The back of the unit is not as unassuming as the front. However all there is to see is an information panel, power sockets, the power supply exhaust fan, some kind of latch and a space that would normally have cables protruting. Releasing latch allows the entire side panel to be removed in order to gain access to the variety of I/O ports and to the two black levers above the emodule that release the drive cages in the two upper bays. 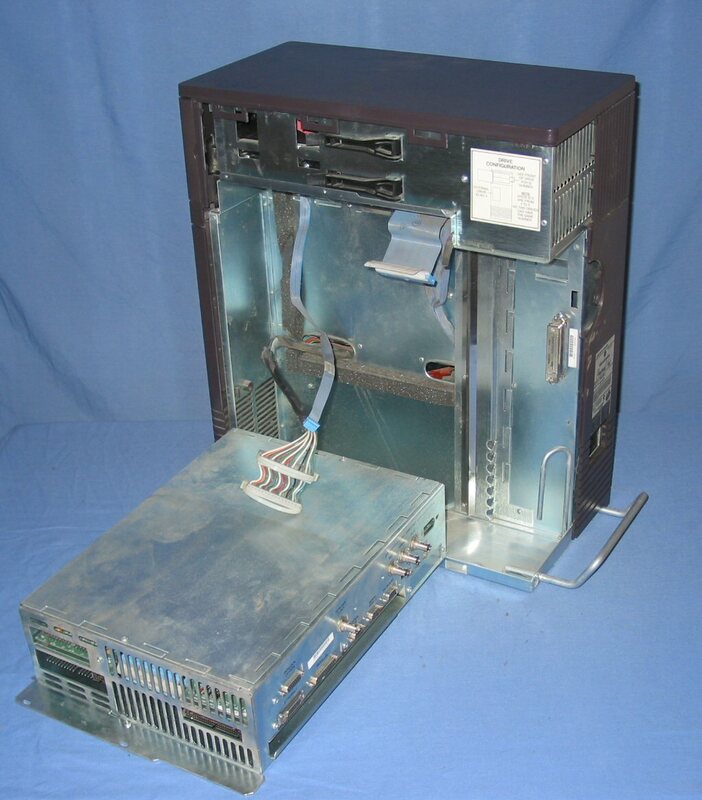 The simple removal of a couple of screws allows the emodule to be tilted out in order to expose the connections for power, the SCSI bus, and for the front panel switches and lights. After disconnecting the electrical connections between the emodule and the chassis the emodule simply folds down and can be removed. At This point the chassis has been reduced to a power supply and three drive bays. 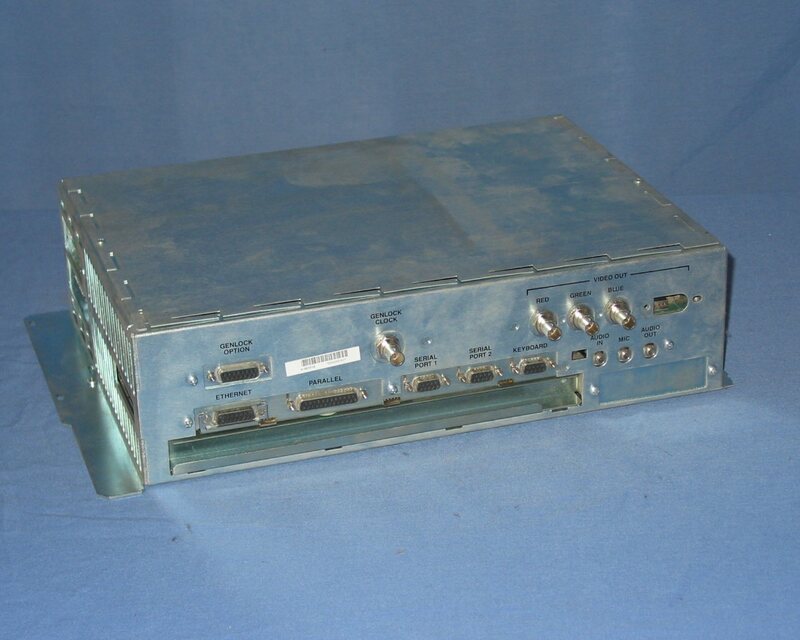 The I/O ports on the emodule include: AUI ethernet, parallel, two serial, keyboard, audio in, microphone, audio out, RGD video out, genlock clock and genlock option. Removing the other side panel from the emodule exposes more of the logic boards. 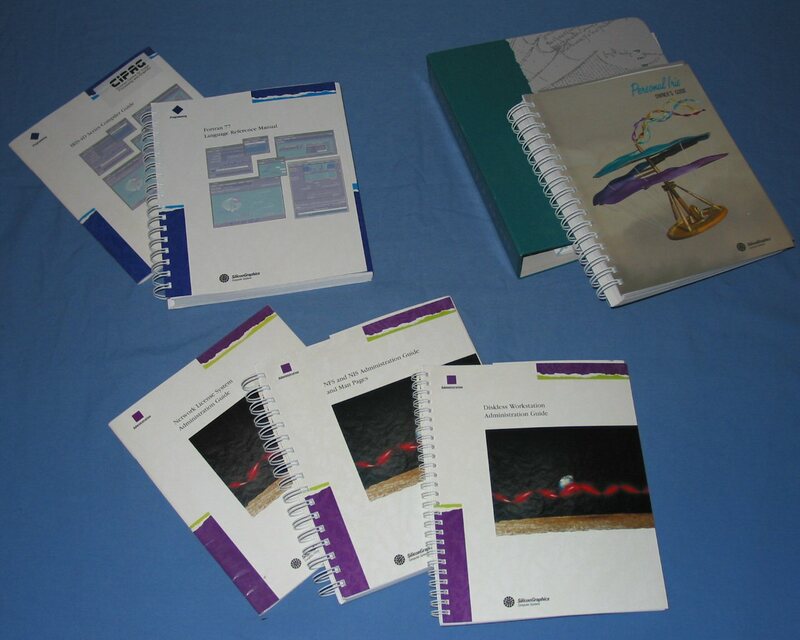 Some of the manuals that came with this sustem include the owners guide, NFS and NIS manuals, and a Fortran language guide. 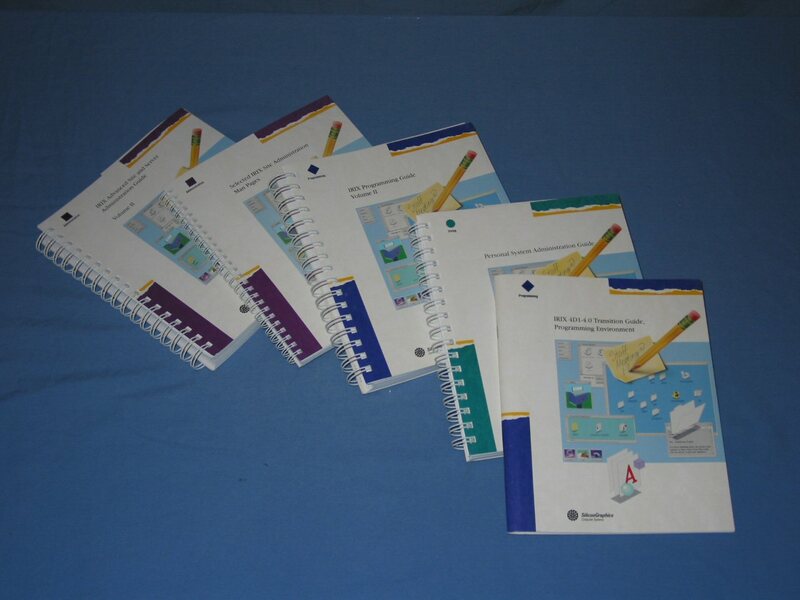 A collection of manuals including IRIX administration and programming guides. Personal Iris Disassembly . 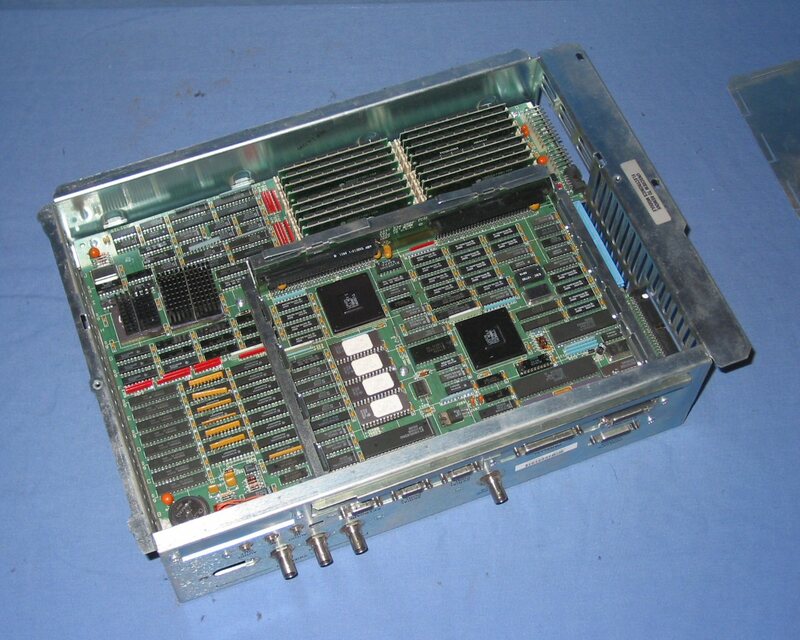 . .
A description taken from a rare, old SGI Info Sheet about the 4D/25S Server. 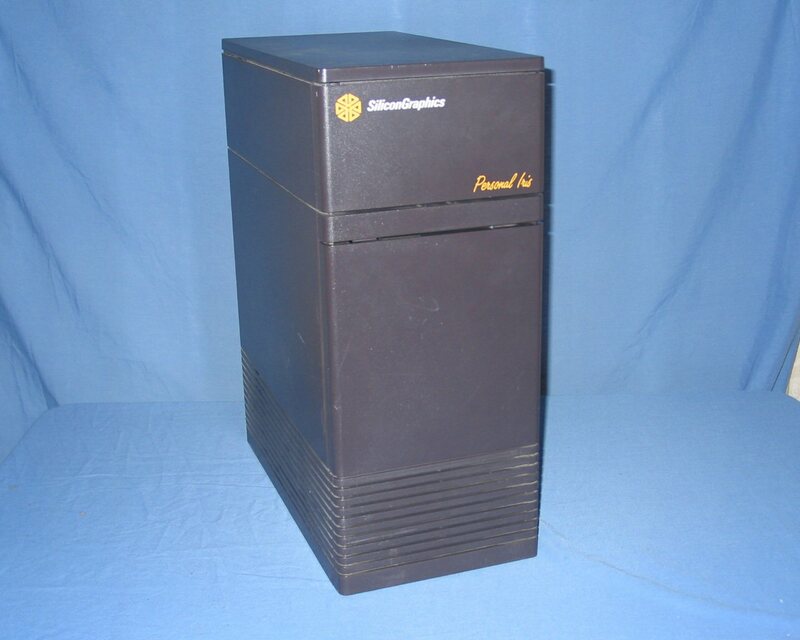 "The Personal Iris are rather old SGI hardware. There are four base models, each with a different mainboard and CPU plus there are some different graphic options."